Flat Fee Listing now open to all in CCISD .. I will never forget …. It was February 16, 2012 when I accepted my first Flat Fee Listing. I was as nervous as my prospective seller/client. Getting my seller/client to whip out the check book to pay the upfront portion of the flat fee was in fact somewhat challenging and amusing. The wife totally got it and the husband did too but there was to say the least a tad of apprehension. We had signed all of the paper work, everything the last thing left was for them to write the check. Yes, he shrugged his shoulders, took a big gulp and he wrote the check. The transaction went smooth as pie and from this seller/client I have already received 3 referrals. We were equally appreciative of the opportunity that my Flat Fee Plan offered both sides. I learned I did not mind a bit working for less virtually the first time in my career. I designed the Flat Fee Plan as a result of the horrific buyer’s market of 2010 and 2011 where most sellers had little equity. I remember going on 13 listing appointments where I chose to walk out the door without the listing. I knew that I could not net the seller what the seller wanted to net and still get paid and in none of the cases did the seller go and list with someone else. There simply was not enough equity. No sooner had I designed the plan the market turned; and it turned fast and hard moving from a buyer’s market to a seller’s market. By the end of 2012 I was pretty much done offering the Flat Fee Plan. Now the opposite problem is upon us; with a total shortage of inventory in Clear Creek ISD for homes priced under $400,000 – for a short time and quite frankly so I can load up on a few listings I am now offering the plan again. 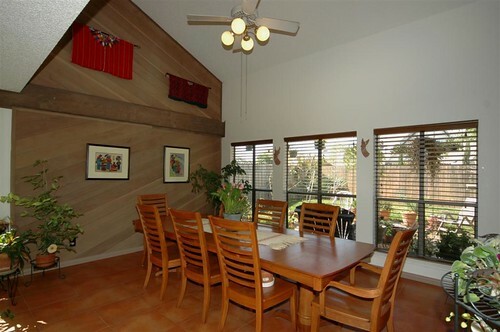 The picture in this blog is one of my favorite pictures from my first flat fee listing.